Synopsis: Book one of the Llandra Saga What’s a young mage to do in a land where magic is illegal, and the penalty is death? At the age of fourteen, Randall Miller is surprised to learn that he has the talent–for magic! Tricked into apprenticeship by a powerful Mage, Randall is forced to leave everything he knows behind. When his mentor is killed by Aiden, head of the secret police, he flees for his life, stumbling from one misadventure into another. Teaming up with a trio of greedy traders and a capricious imp along the way, Randall must learn to master his budding power, or die at the hands of the Rooks! Randall’s journey began just before he turned 14. He was small for his age and had always been ridiculed, not quite as good as the other boys in the village. He wanted to apprentice with the militia so he would be taken seriously and the prestige belonging to men who could reeled their swords and ride horses would only increase his stature and hopefully with one particular girl. But he was apprenticed by a man named Earl who won his family over and paid them handsomely, his wages in advance. Earl was an interesting individual who had secrets of his own and rode Randall hard. He helped build his character and his body, for Randall was apprenticed to be a caravan guard – as close as he could get to the militia he thought with chagrin. Earl wasn’t who he appeared although his cover for his real talent kept him safe. He was a mage, well-respected among his peers. In the times this story plays out, mages were hunted down. I thought it quite interesting his way of teaching Randall about magic and how to use it. The people Randall met were not always who they appeared to be, however wary of them, he chose to trust them until they became untrustworthy. Without the lessons of magic he’d had, he would not have survived. He utilized these lessons, saving his life more often than not. He befriends a small sprite along the way and this friendship keeps him sane when he was completely alone. Randall’s journey is full of lessons, hurt, danger, and yes, even finding the good where many see it not. David Stifel’s narration was excellent; well told, getting into the very essence of the characters and their personalities. His emotional tone captured perfectly, the cantankerous Earl who had a fiery spirit and short fuse. As Randall moves through his journey, he changes with his learning and we hear the changes in Randall’s character through his inner dialog which David Stiffel so very well narrates. I never noticed any extraneous noise or shifts out of character during the telling. So no sloppy editing here. The story ended with an ending and yet a new beginning preparing the reader for more of this adventurous fantasy. I would very much enjoy continue reading or listening to more of the series. About the Author: Gregory L. Mahan was born in Richardson, Texas, but spent his formative years in the greater Houston area. Gregory fell in love with the works of Andre Norton at a very young age, and soon became a voracious reader of science fiction and fantasy works. He began crafting stories for his friends and family at the age of 8 when he asked for (and received!) a typewriter as a Christmas gift. Gregory is known for the Llandra Saga series of epic fantasy novels, as well as several Celtic music tunebooks and a how-to guide on brewing mead. In addition to writing, he enjoys Celtic music, and has played the Irish penny whistle and low whistle since 1995. His first band, Echoes of Ireland, was featured on KPFT radio’s Irish Aires program, as well as being one of the bands chosen to play for Charles Sheehan, Consul General of Northern Ireland on his visit to Houston in 2003. 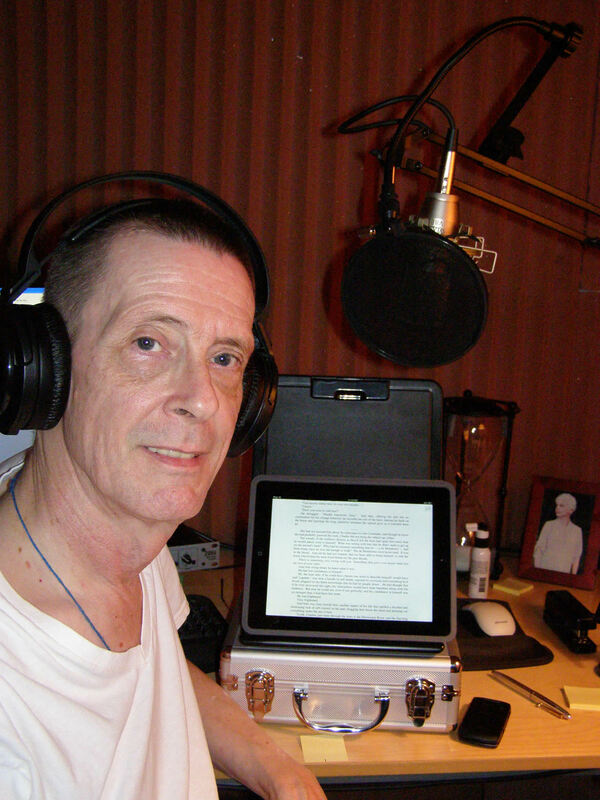 Gregory maintains one of the oldest and largest Irish music repositories on the internet, The Wandering Whistler Music Archives, and published his first songbook, Fifty Great Celtic Jigs, in 2002. In 2003, he joined the band Paddy Gone Wild, and was prominently featured on their CD, The Greatest Hits, released in 2008. Gregory currently lives in Northern Virginia with his family. About the Narrator: David Stifel was born and raised in Denver and its suburbs, and studied acting at the Yale School of Drama, where among his classmates were Sigourney Weaver and Christopher Durang. He has appeared in numerous films and TV shows, working for such distinguished directors as Steven Spielberg (Minority Report), Danny Boyle (A Life Less Ordinary), and Joel Schumacher (The Number 23). Seen regularly on LA stages, some of his favorite roles have been Claudius in Hamlet, Rev. Jim Casy in The Grapes of Wrath, and Marat in Marat/Sade. 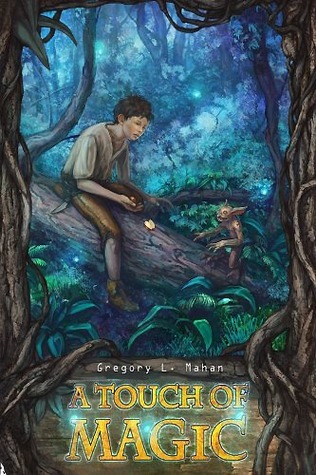 This entry was posted in Audiobook, Audiobook Review, Coming of Age, Fantasy, New Adult and tagged A Tough of Magic, audiobook, Coming of Age, David Stiffel, Gregory L. Mahan, Mage, Magic. Bookmark the permalink.